I tried this new idea for a cake on Sunday for a dinner party with my parents, and it was a big success! 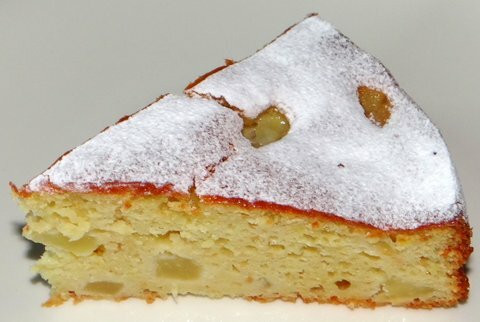 I had seen a recipe for a pear cake using ricotta instead of butter on GialloZafferano.it, and since pears and almonds are a good combination I thought I’d enrich it with almonds. It came out great: not too sweet, fresh and fruity, relatively light but not dry. 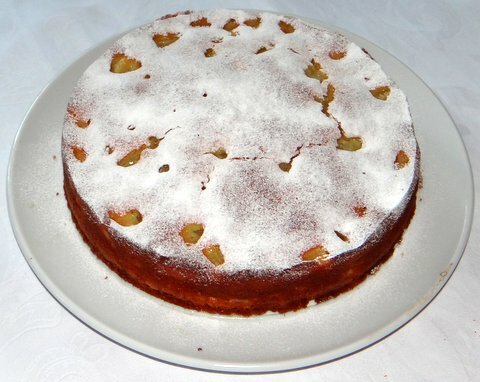 And very easy to make if you don’t mind peeling some pears. 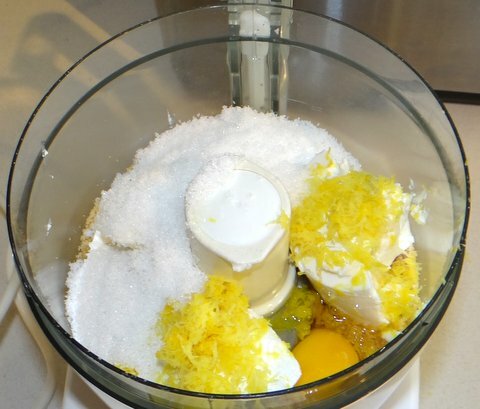 Grate the zest of the lemon and set aside. 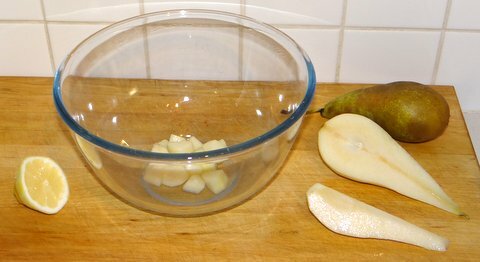 Peel the pears, remove the core and cut into cubes. Sprinkle the cubes lightly with lemon juice to prevent them from turning brown. Butter and flour the springform pan. 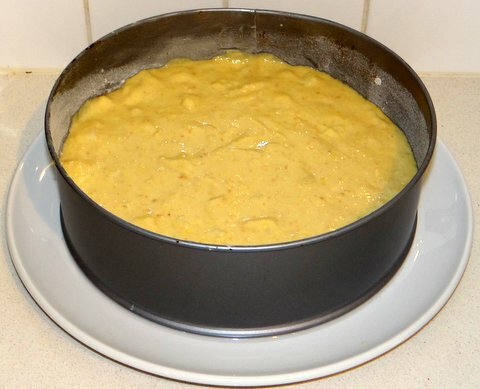 Mix the pear cubes with the batter and pour into the pan. Smooth the top with a spatula. Bake for 50-70 minutes at 180C/350F until a tester comes out clean. 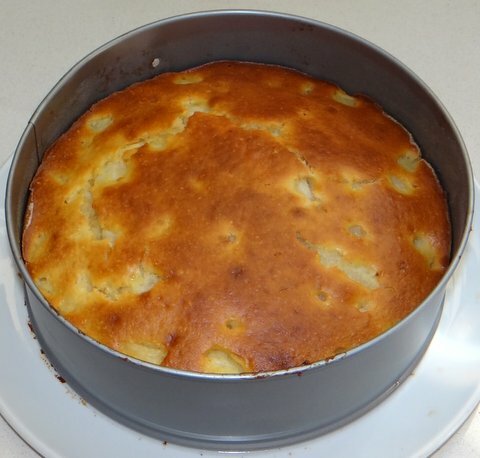 Cover the top with aluminum foil if the cake starts to turn too dark. Let cool to room temperature before serving. Sprinkle with confectioner’s sugar. This is great with an Italian dessert wine that is not too sweet, especially Moscato d’Asti. Combination of tastes souds great! Hi Stefan, This looks fantastic. However, I can’t cook it. Not since my daughter started her Decidedly Delicious blog at http://www.decidedlydelicious.com. She now is in control of the deserts around here. I don’t know that I am impressed.